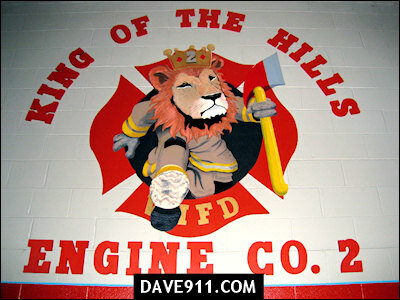 The mural pictured below is from Vestavia Hills Station 2. It is proudly displayed on the bay wall inside the station. Scott Whitworth designed it, others that helped were Troy Gipson with the lettering, Mark Pearson and Todd Wilson with wood work and Richard Archer and Scott Whitworth did the painting to bring it to life. Richard Archer helped with the list of everyone involved in this project. Thank you, Richard! King of the easy chairs. That Todd is good with the wood. Vestavia has a Fire Department? At least they aren't living in trailers like their neighbors to the north. who are you saying is running out of trailers? homewood? Homewood isn't in a trailer. It is a butler building while the new #1 is being built. Scott Whitworth actually designed it and tried to have Archer allowed by the Chief to have it put on the wall years ago. We move fast around here at VHFD, progress is our name! Fred Flintstone fought more fires than Vestavia Hills does. But I geuess that makes there prevention program look good. Has the Ladder truck at Station 1 ever ran a call? Homewood is in trailers. The city bought 2 double wide trailers. For the poster with the Fred Flinstone comment I guess ya'll are so busy at your department the opportunity to study the correct spelling of the big words like "geuess" just isn't available. Go get em spelling bee champ. Do you like pina coladas? or getting caught in the rain?